Thanks to sophisticated logistics, medical rehabilitation equipment can be reused many times over. You can tell just by looking at it that it was once a faithful companion to its user over the years. Maybe a little tarnished with a couple of knocks and dents here and there. All in all, it still works wonderfully. But now its owner no longer needs it. This doesn't mean the end of its life, because that would be a real shame for this electric wheelchair. After all, it's worth just as much as a small car and could still give good service to any number of patients. Patients who would be grateful to get mobile again quickly after breaking a bone, having a serious accident or even worse. Fortunately there are people like Markus Lauer who can get this wheelchair back on its feet. Lauer works in a logistics centre which takes care of the storage, transportation and preparation of wheelchairs and other rehabilitation equipment on behalf of health insurance companies. He performs an expert health check of the wheelchair, or rather, he carefully inspects its motor and its nuts and bolts. The wheelchair is cleaned under high pressure using cold dry ice at -80° to ensure that it is hygienically clean. Lauer then painstakingly enters all technical details in a database – with an overview available at the click of mouse. At the end of the process, the wheelchair's tyres are retreaded and it is wrapped in film, waiting to clock up mileage with a new owner. And if reconditioning is not possible, then Lauer and his colleagues take care of the expert recycling of the wheelchair. 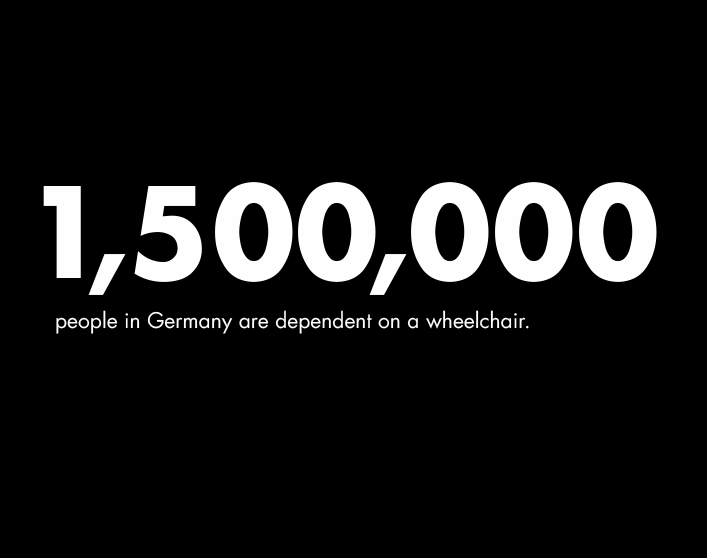 Over 1.5 million people in Germany are dependent on a wheelchair. More and more of them are using modern wheelchairs powered by an electric motor with a high-performance battery and joystick. These high-tech chairs make life easier for their users and are correspondingly costly for the health insurers. Consequently reconditioning is a win-win situation: thanks to sophisticated logistics, the patient quickly receives a wheelchair in mint condition and remains mobile. The health insurer reduces his excess stock of rehabilitation equipment, saves money and obtains an overview of usage. And the environment also benefits, as less rehabilitation equipment is stockpiled or left to gather dust in a cellar. “Ping!” goes the e-mail program. Lauer can deliver a new order. We use the forklift to fetch a gleaming wheelchair with heated seat, tyres with puncture protection and LED lighting from the shelf. Markus Lauer cuts the “Return to Value” wrapper and packs the wheelchair for transportation. On the same day, the wheelchair heads off for delivery to its new owner. One day this chair, along with several hundred other wheelchairs a year, will be returned “all worn out” to Lauer and his colleagues. To be restored to its former glory once again. Clean, inspect, store and deliver quickly on demand. On behalf of health insurance a logistics center manages medical aids. RLG HEALTHCARE plans and operates logistics solutions that are precisely tailored to the sensitive products and vital processes in the healthcare sector: Preparation and cleaning of medical aids, services to resource pools and the distribution of medical gases.